There is no denying the aesthetic appeal of the Audi Q3. We can’t find an ugly inch anywhere inside or out. It is the best looking SUV in its price range. Though it lacks the performance characteristics of its siblings, it is the clear winner in the category if you’re looking for a stylish, comfy ride. However, it is no family hauler! We recommend this model to the professional single or couple looking for a premium branded SUV without breaking the bank. For a reasonable base price, you can purchase a rolling work of art with a refined, comfortable ride. We think the base model is a great value if you don’t need advanced technology or even a USB port, which is not available in the Audi Q3 at any trim level. An infotainment system is not standard either and equipping the Q3 with stuff that arrives standard in some of the competition easily brings the total north of $40,000. The truth is there are plenty of better options if you’re looking for value per dollar. The Q3 is powered by a 4 cylinder dual overhead cam 2 liter turbocharged engine that makes just 200 horsepower and 207 ft lbs of torque. The engine is relatively efficient with a 20 mpg rating in the city and 28 mpg highway rating. When analyzing the Q3’s performance, we were sorely disappointed. The Q3 is probably the poorest performing Audi on the market. It is unforgivably slow to sixty at an uninspiring 7.9 seconds. Shockingly, the optional quattro AWD equipped Q3 is even more lethargic at 8.2 seconds. We recognize that this model was engineered with relaxed driving in mind rather than canyon carving performance. The Q3 excels at comfortable commuting and handles a road trip with grace and poise. If performance oriented driving is a priority, please check out the Acura RDX. It outperforms all the German machines in nearly every performance category, with the possible exception of the X1’s handling. It is also a second or two faster to sixty and is packed with features for the money. If you prefer the premium badge to passing performance and prioritize comfort, the Audi Q3 performs adequately to satisfy your desire. The 2017 Audi Q3 interior comes in 3 styles. Style availability varies by trim level, but the options are: Black, Chestnut Brown, Rock Gray. The Q3 accommodates five passengers, but we wouldn’t recommend long trips with adults in the second row. The cargo capacity is average at 16.7 cubic feet with second row seats up and 50.3 cubic feet with seats down. The standard leather interior outclasses the competition. The seats are supportive and comfortable with plenty of bolster. If you need an infotainment system, expect to pay a few thousand extra for Audi’s MMI which lacks a USB port but allows iPhone connectivity if you still have a 30 pin port from pre-2012 models. Audi resolved this issue in the 2018 model. You can always connect to the MMI via Bluetooth, making the lack of USB port little more than a mild annoyance. As we mentioned earlier, the exterior design of the Audi Q3 is phenomenal. It is nearly indistinguishable from the larger 2018 Q5 which further increases the allure. The wide, squat stance appears aggressive and sporty, enhanced by the large front intakes and wide grill. The LED rear tail lights dazzle, especially with the all new sequential turn indication system. We believe this is the best looking compact luxury SUV that can be had under $40,000. The refinement and elegance of this little Audi is enough to forgive its shortcomings in performance and tech. It looks that good. JD Power awards the Audi Q3 with a rating of 3, which indicates an “about average” reliability rating. There was a safety recall by Volkswagen Group for the 2015-2017 Q3 model for faulty lighting. 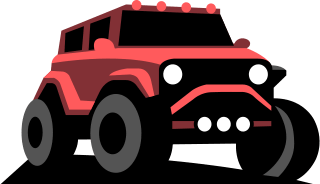 Ensure the Q3 you are looking to purchase is not affected or has been remedied by the dealership. 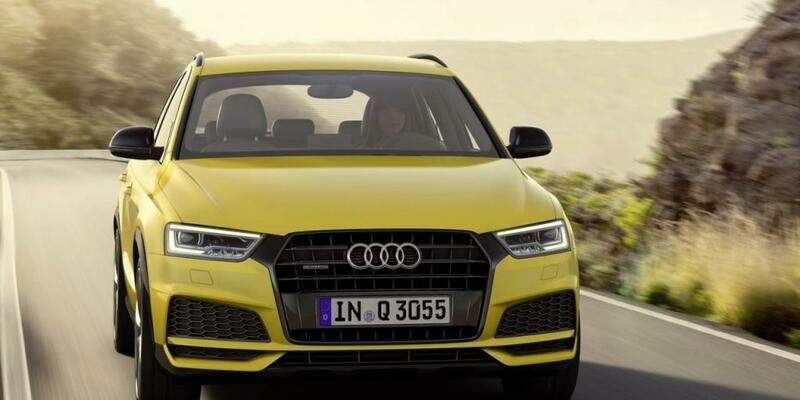 The Q3 received top marks from the Insurance Institute for Highway Safety’s crash test. Equipped with several airbags, lane departure warning, blind spot detection and rollover protection; safety is not something you should worry about. The Q3 faces competent competition from fellow Germans in the form of the Mercedes GLA 250 and the BMW X1. Both are equipped with many more features at a similar price point. Both handle, accelerate, and entertain better than the Audi. The GLA 250 starts at $33,400, a few hundred more than the base Audi Q3. It is even smaller than the Q3 which allows for car-like handling and performance with a less comfortable ride than the Q3. The transmission in the Mercedes does not shift as well as the Audi unless you use the standard paddle shifters, which we always recommend using for a more engaging driving experience. The GLA has the best fuel economy rating of the three at 24 mpg city and 33 mpg hwy. The GLA has five cubic feet less of cargo space with the rear seats down and roughly the same with the seats up. The X1 has significantly more cargo space than both. Surprisingly, the stock leather interior in the Audi is much higher quality than both the BMW and Mercedes. However, both come standard with quality infotainment systems that the Audi lacks. The GLA provides driver assistance features like emergency forward collision prevention and driver drowsiness monitoring system that tracks driver behavior and tells you to take a break if you seem unfocused. If only all our bosses did the same! The BMW X1 is rated by many reviewers as the best buy in this category and we understand why. As the subcompact SUV iteration of the ultimate driving machine, it performs like its namesake. It doesn’t have the straight line speed of the GLA but it is way more fun to drive. It handles better despite being the largest of the three. Be sure to put it in sport mode to mitigate slow downshifting in automatic mode. Compared with the Q3, the X1 outperforms in nearly every category, safety is an exception. It has no standard driver assistance features, while the Q3 includes Audi’s blind spot detection system, Side Assist. Better brakes and suspension are a welcome trade off as they leave the competent X1 driver in a better position to evade a possible collision than either the Audi or Benz. We recommend the X1 to the consumer who needs more space and a better driving experience. The GLA is a better choice for the safety concerned. If style and comfort is what you seek, go with the Audi Q3. The base Q3 costs just $32,900 though it is the lowest trim level is called Premium. Also standard is a panoramic sunroof, eight beverage holders, ambient LED interior lighting, and a leather-wrapped shift knob. Technology wise, this package includes Audi concert radio with ten speakers, Sirius XM, and Bluetooth phone and streaming audio capability. The Premium Plus trim level starts at $35,800 and includes all LED headlights, heated seats, and an advanced key that allows remote start and power liftgate operation.